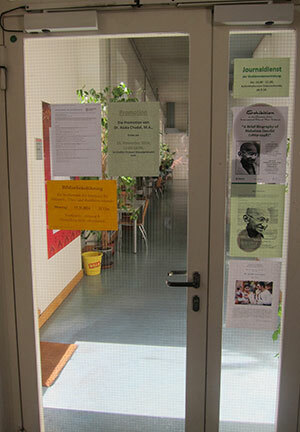 First stop: Institut für Südasien-, Tibet und Buddismuskunde, Universität Wien. 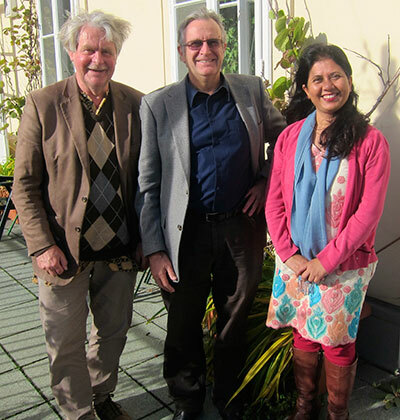 On Tuesday 4 November 2014, SASNET deputy director Lars Eklund visited the Department of South Asian, Tibetan and Buddhist Studies (ISTB) of the University of Vienna, to meet Martin Gaenszle, Professor for the Cultural and Intellectual History of Modern South Asia, who is presently deputy head of department. 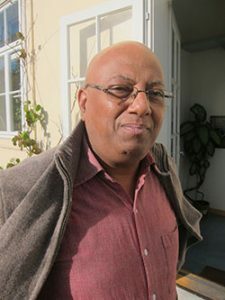 Besides Gaenszle is the president of the European Association of South Asian Studies (EASAS), that had a council meeting on the day before (more information). Since its establishment in the year 2000, ISTB is located in the University Campus at Spitalgasse. 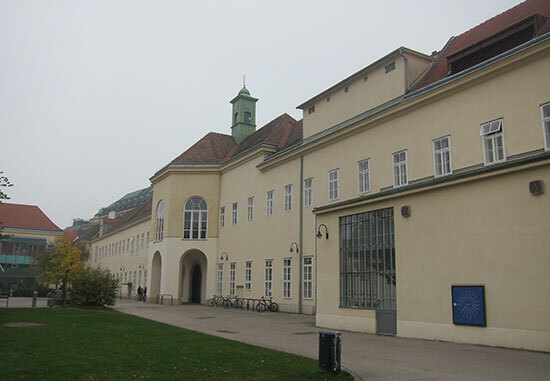 This campus in the north-western part of the city centre consists of architecturally interesting buildings that used to be the Old General Hospital of Vienna. ISTB came into being when the former Department of Indology was merged with the former Department of Tibetan and Buddhist Studies, a merge facilitated by the fact that the two departments both had moved in 1998 from separate locations in the city to adjoining premises on the newly established Spitalgasse campus. At the same time, South Asian Studies was introduced in the name of the institute, to mark a break from a strong nearly 200 year old tradition in German-speaking universities to refer most academic research on South Asia as Indology, giving a false impression that a ”science of India”” is restricted to the investigation of culture within the political boundaries of present-day India. The new terminology ”South Asian Studies” further signals the expansion of research into the intellectual and cultural history of South Asia to include the modern period (sixteenth c. and onwards), and the addition of research into the culture and society of the entire South Asia. Read about the history of Indology studies at University of Vienna – with its roots back in 1845. Currently, the three main research areas within the field of South Asian Studies are the history of South Asian philosophies and religions, the history of languages and literatures of the South Asian cultural area, and the culture and society of modern South Asia. Prof. Gaenszle, who joined the institute in 2007 (coming from the South Asia Institite in Heidelberg) has himself specialised on the study of Kiranti culture and languages in eastern Nepal. Rai, Limbu and other Kiranti languages are today characterised as endangered languages due to the fact that the Nepalese national language gains more and more ground. His interest in Nepal got a boost in the late 1980s and early 1990s when he lived for seven years in Kathmandu as the Heidelberg University representative. Today Prof. Gaenszle is part of a wide international network on Himalayan studies, and he is involved in the production of the European Bulletin of Himalayan Studies. Lars Eklund, Martin Gaenszle and Alaka Atreya Chudal. Education at the institute is provided from BA level up to PhD, with a focus on cultural and language studies, both classical and modern South Asian studies. Students have to study at least two South Asian languages, currently Hindi, Sanskrit and Nepali are being taught, but sometimes other languages such as Urdu and Newari are also possible to choose. When it comes to South Asian studies, the institute in Vienna collaborates with the Academy of Sciences at Göttingen, Germany; the Instytut Filologii Orientalnej of the Jagiellonian University, Cracow, Poland; and the Istituto Italiano per l’Africa e l’Oriente in Rome, Italy. The department has also been at the centre of an international research group of scholars currently based in Italy, France, Germany, England, India, Switzerland and the US who are concerned with the exploration and interdisciplinary study of Buddhist traditions in the Western Himalayas. Besides Prof. Gaenszle, Lars also met Senior Lecturer Dr. Alaka Atreya Chudal, teaching Hindi and Nepali language at the institute, and the Indian Council for Cultural Relations (ICCR) Professor Anirudh Deshpande from the Dept. 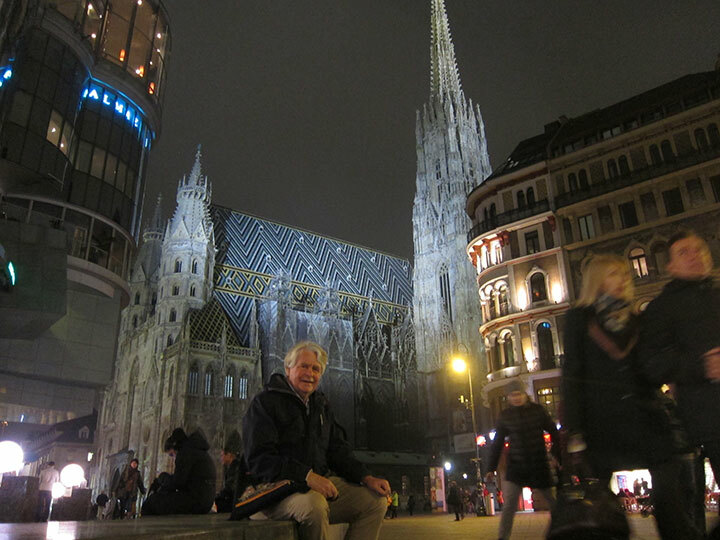 of History at Delhi University, staying at the University of Vienna during the winter semester 2014. Alaka Atreya Chudal defended her doctoral dissertation at the Institute only a few months before. The thesis is entitled ”A Freethinking Cultural Nationalist: Rahul Sankrityayan’s Narrated Self in the Context of His Age”, and deals with Mahāpaṇdit Rahul Sankrityayan (1893-1963), whose complex personality, in spite of wide-ranging studies of him, still remains a conundrum. Dr. Chudal focuses on Sankrityayan’s affiliation to the Arya Samaj, his contributions to Buddhist studies, his efforts to enrich Hindi literature and support the movement to raise Hindi to the status of India’s national language, and his adaptation of Marxism to the Indian context. A separate concern of this study is to delineate how Rahul Sankrityayan made his influence felt beyond India’s borders, in neighbouring Nepal. More information about the thesis. A former Nehru Fellow, Anirudh Deshpande (photo to the right) is a well-reputed and knowledgeable researcher focusing on Indian colonial history. He is the author of works like ”The British Raj and its Indian Armed Forces” (2002); ”British Military Policy in India 1900-1945” (2005); ”Class, Power and Consciousness in Indian Cinema and Television” (2009), and is currently working on a book entitled ”A Spring of Despair: Mutiny, Rebellion and Death in India, 1946”. We had a nice chat on the verandah of the institute, discussing the current development in India. Prof. Martin Gaenszle also informed about a few other researchers focusing on South Asia related issues at University of Vienna not being part of the institute, but often involved in collaborative ventures. Among them are found the anthropologist Dr. Bernhard Fuchs at the Dept. of European Ethnology, who recently has been involved in research on the South Asian diaspora in Vienna. Another researcher is Professor Elke Mader at the Department of Social and Cultural Anthropology, where she works with a research group on Visual Studies in Social Sciences. In 2010, she organised a fascinating International Conference entitled ”Shah Rukh Khan and Global Bollywood” (more information about this conference). The final point on any visit to the University of Vienna Spitalgasse campus is a visit to the Universitätsbräuhaus, open every day from 11 AM till midnight, and this was also the case on this SASNET visit. Special beer is brewed for this charming university brewery, such as Magister Märzen, Doktor Pils, Campus Zwickl, Professor Doppelmalz and a delightful Unibräu ALT-Bier.